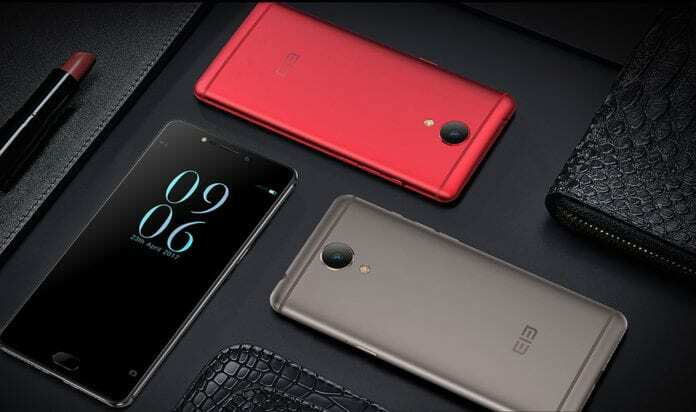 Ever since the inception of the smartphone company in 2004, Elephone has been churning out devices with high quality and top-notch features. The Elephone P8 is another finely finished device with specifications that qualifies it to go toe-to-toe with premium smartphones from top manufacturers. But before I go on to spell out these specs and duly review​ the Elephone P8, I would love to ask if anyone notices how small and budding OEMs have been giving big manufacturers​ a run for their money. The smartphone game is swiftly changing, but well, that’s a story for another day. Starting off with the colour, the Elephone P8 comes in 3 different colour variants; Red, Gold, and Black. One particular thing to love about the Elephone P8′ design is the frontal part which is entirely made of glass. Even the home button that doubles as a fingerprint scanner is also made of glass. Just in case you plan to own a unit of this device, what does that tell you? Simple! You have to be extra careful when handling the device. In fact, for precaution sake, you should get a fully faced screen protector upon purchase of the device. The volume adjustment keys are located on the device’s left while the right side of the Elephone P8 harbours the power and lock button. For enlightenment purposes, the Elephone P8 has some little resemblance with iPhones. Just above the volume buttons, there’s a mute button to quickly put your device on silent. Probably when you’re in a class, an exam, a meeting or anything. The Elephone P8 has a 5.5-inch FullHD 1920 x 1080 pixels resoluted screen. The screen is a JDI LCD type of screen that are known for their high pixel density. This explains why this device has a relatively high pixel density of 428ppi which will provide nothing short of super clear and crystal images. The Elephone P8 is powered by MediaTek’s Helio P25 Octa-core processor. Working alongside this processor for smooth functioning of the device is a massive 6GB RAM. On the P8, you can run as many apps as you want without clogs or lags. That’s not all. The latest Android Nougat v7.0 is what the Elephone P8 comes out of the box with.There’s no information as to whether it would be upgradable to the upcoming Android O or not. But for now, enjoy the lovely features of the Android Nougat and store as many files as you want on the 64GB in-built storage. You can double up the storage up to 128GB using​and external micro SD card. Talking about the cameras, the Elephone P8 is also a beast in this department. A conspicuous 21-megapixels camera is located at the rear, and just below it, a LED flash. The 16-megapixels front facing camera also has a soft LED light for bright selfies​ especially at night-time. The Elephone P8 is powered by a 3,600mAh battery. The battery pack is non-removable and there is no quick charge or flash charge support. But on the average, the Elephone P8 performs well and lasts long upon full charge.